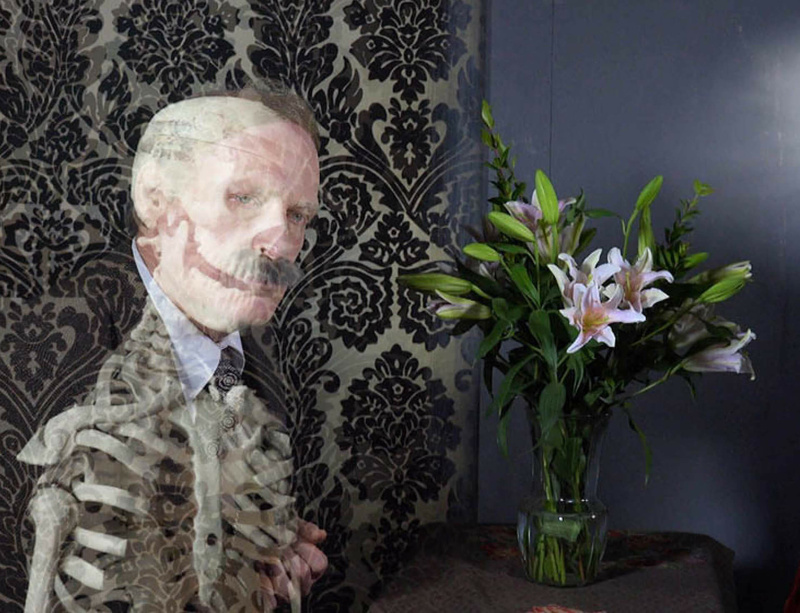 Always rooted in the medium of film, Tony Oursler conjures sculptural and immersive experiences using technologies that hark back to magic lanterns, Victorian light shows, camera obscura and auratic parlour tricks, but that also look forward to the fully networked, digitally assisted future of image and identity production. From performative and low-fi beginnings, Oursler has developed an ever-evolving multimedia and audio-visual practice utilising projections, video screens, sculptures and optical devices, which might take form as figurative puppets, ethereal talking automatons or immersive, cacophonous environments. His enduring fascination for the conjunctions between the diametrically opposed worlds of science and spiritualism have allowed him to explore all kinds of occult and mystical phenomena, employing not just smoke and mirrors, but playing the role of circus showman and extricating the sham from the shaman. An immersive, feature-length film by Oursler, Imponderable (2015-2016), will be on view at the Museum of Modern Art in New York from 18 June 2016 until 8 January 2017. The work offers an alternative depiction of modernism that reveals the intersection of technological advancements and occult phenomena over the last two centuries. Presented in a “5-D” cinematic environment utilising a contemporary form of Pepper’s ghost — a 19th-century phantasmagoric device — and a range of sensory effects, Imponderable has been inspired by Oursler’s own archive of ephemera relating to stage magic, spirit photography, pseudoscience, telekinesis and other manifestations of the paranormal. Drawing on these objects, the film weaves together a social, spiritual, and empirical history of the virtual image that overlaps with the artist’s own family history. The exhibition coincides with Tony Oursler: The Imponderable Archive, which takes place atthe Centre for Curatorial Studies, Bard College, Annandale-on-Hudson, New York,from 25 June 25 until 30 October 2016.